Now that spring is here, complete with gales and hail, the garden is really starting to come alive. 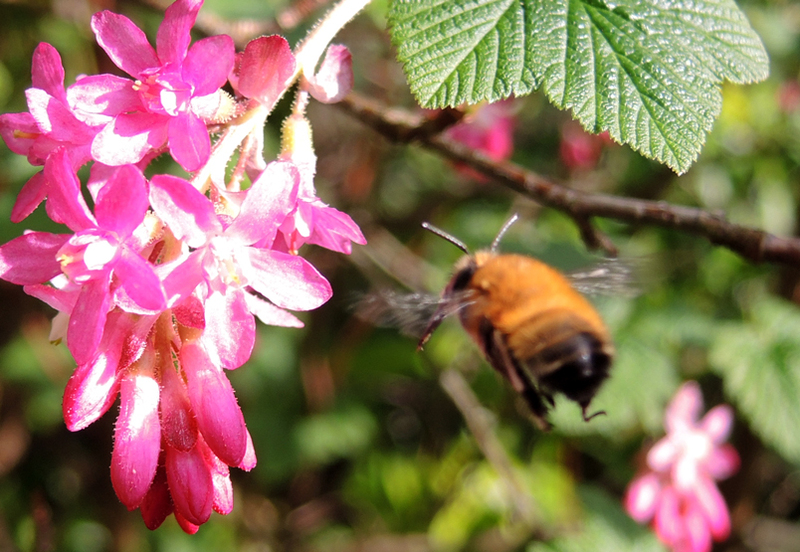 As the plants become more colourful with blooms and blossoms, so the air becomes filled with the busy buzzing of bees. 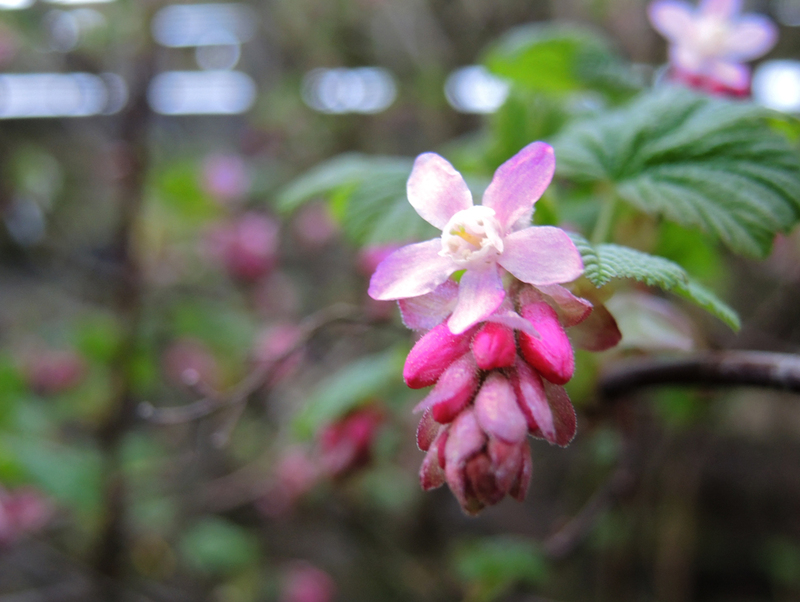 The star attraction for the bumblebees at the moment is the flowering currant, Ribes sanguineum. 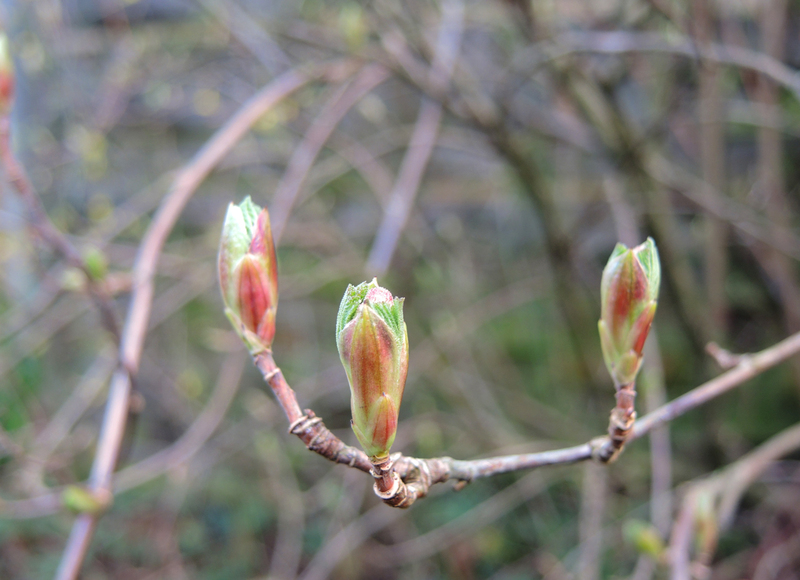 It was one of the first shrubs to tentatively sprout leafy buds at the beginning of February before bursting forth with blossoms in March. The leaves have a pungent or resinous odour when rubbed, although Rambling’s Grandma’ calls the plant “flowering tom cats” so you can guess what she thinks it smells of! It seems to be another one of those flowers that it is considered unlucky to bring indoors, though I cannot find out why. It is a native of the West coast of North America and was brought to the UK in the nineteenth century, which is probably why there is not much folklore associated with it. The currants, or berries, that it produces are technically edible but unpalatable. Apparently American Indians used to mix them with other fruits to make fruit leather. If like me you are wondering what the heck fruit leather is, then check out this post here. 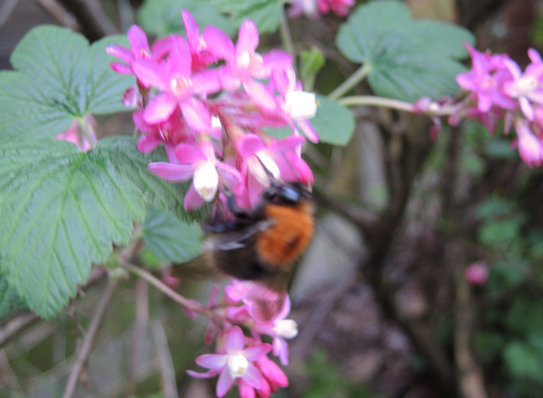 Perhaps the most useful thing about the flowering currant is that it is clearly a good source of pollen for bumblebees. As the mahonia and the crocuses die off, they have all made a “bee line” for this bush. The one with the ginger/orange thorax and white bottom is a tree bee, Bombus hypnorum. These were first recorded in the UK in 2001, sightings can be submitted via this website. This gingery stripey fellow was identified via Twitter as a male Anthophora plumipes, better known as the hairy-footed flower bee. This is very similar to Bombus pascuorum and is not technically a bumblebee, but we won’t hold that against him. They all do the same important job of pollinating our plants. 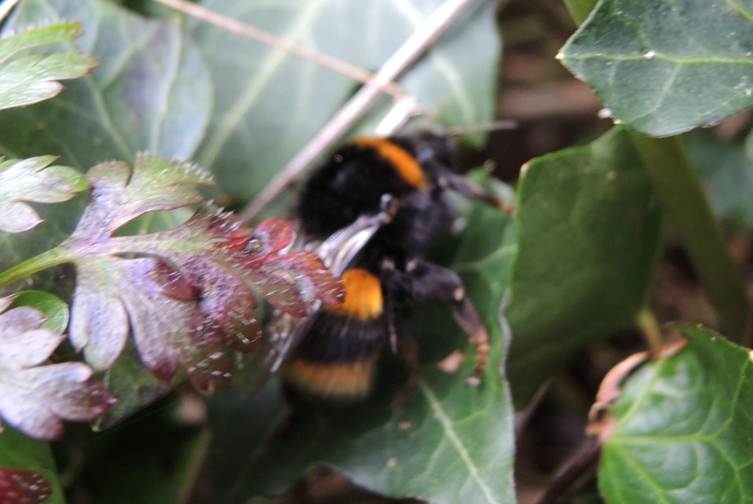 This one was skulking on the ground amongst the ivy, it is what I consider to be the “classic” yellow and black striped bumblebee, I think it is a queen buff-tailed Bombus terrestris. There are twenty four species of bumblebee in the UK, here is an ID guide to the most common and here is another one. If you want to make your garden a haven for bees and butterflies then have a look at this site here, it is full of great advice. 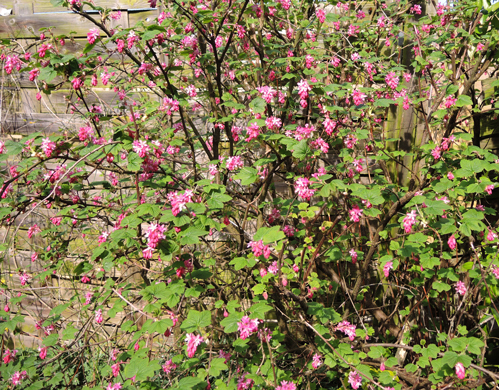 This entry was tagged Anthophora Plumipes, Bombus Hypnorum, Bombus Terrestris, Bumblebee ID guides, bumblebees, flowering currant, fruit leather, UK bumblebee identification, wildflower garden. Bookmark the permalink.